This course is for anyone who would like to try a few basics of the game. 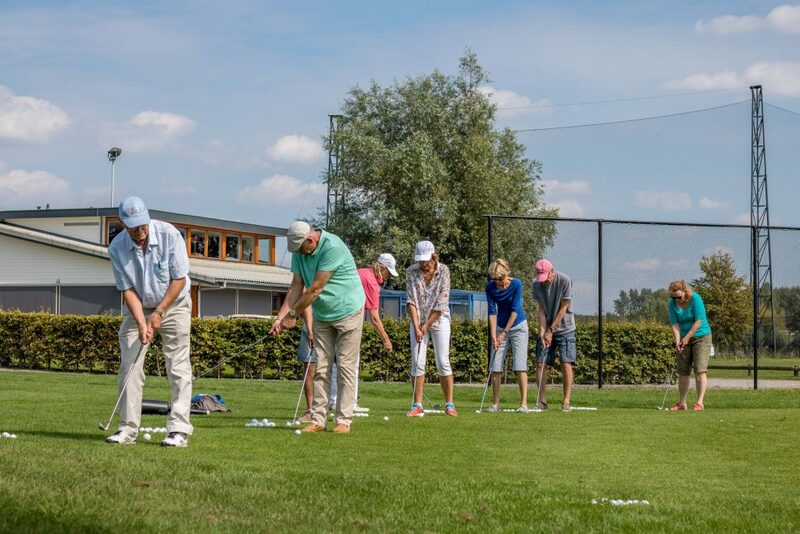 This course is a combination of the introductory course and ‘baan permission’ course, in other words Part I and II of the Dutch Federation Golf Guidelines (Stappenplan). Are you an enthusiastic beginner, who would like to learn the golf basics in a short period of time? Then take the challenge! In this course you will learn the pro basics of golf. Grip, set-up, ball position, swing, short game, course management plus rules. At the end of this course you will have your permission to play the Par 3 Challenge Course (so-called baan permission). Now you can play with friends or by yourself without being accompanied by a golf professional. This course is for people who have done the introduction course above and would like to learn much more about golf. It is also a course for those of you who have some experience in the golf game. Join this course which enables you to practice by yourself on the Par 3. This course is for people who have their course permission for the Par 3 course and would like to play golf on one of our three, 9 holes Championship Courses. Here you will to play more with the rescue clubs and woods. In order to get your permission you need to play all three different 9 hole golf courses. There will be more attention given to course management and rules. If however you would prefer an official handicap 54 or lower you will need to take a theory exam in English. After you have acquired handicap 54, you can try to improve your handicap to Handicap 36. Your swing will be analysed by video and the Golf Professional will set up a personal lesson plan. 5 x 100 minutes training with extra focus on course management and technique on the course. You are steadily improving your golf skills; this course will focus on ball flight, difficult lies and course management. In this course you will learn more about the golf rules and etiquette. During the lessons on the golf course the main focus will be on course management. Meaning what do I exactly do when I am on the course? How do I tactically play this hole without hitting a ball into a water hazard or bunker. How do I putt using the breaks in the green? In other words you want to improve your total golf game and play proper golf on a championship golf course. This course will lead you the way! 5 x 100 minutes training with extra focus on course management and technic on the course. This course focuses on the swing technique and the short game. Lots of people tend to ‘top’ the ball, meaning hitting the ball on the top instead of hitting under the ball. It’s important to sweep over the grass and under the ball. We will teach you how to hit a proper golf shot with your irons! Special focus on: grip, aim, set up, ball position, angle of attack, swing path and finish. 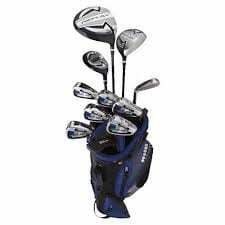 During this course the golf professional will teach you how to swing with your driver and woods. (Hybrids /3, 5, 7 woods). Special focus on: grip, aim, set up, ball position, swing, position of feet, full swing and finish. Where can you save strokes? On the green! Half of all your strokes are made on the green. Yet it appears to be quite difficult to ‘read’ the greens, what is, the best putting line, uphill, downhill putts, how do I create the best chance of making two putts or less on every green. A perfect putting stroke is a rolling movement and not a hitting movement. How do you create a ‘roll’ on the ball so that the ball keeps its speed and stays longer and better on the putting line? These aspects will be taught in this course. For our current lesson schedules of our group courses, please check our website! If you have any questions, please don’t hesitate to contact the Golfacademy telephone +31 (0)15-3807911 (option 4), or send us an e-mail.